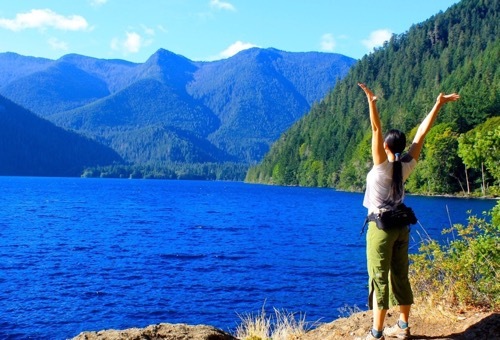 Experience Europe’s wilderness island! 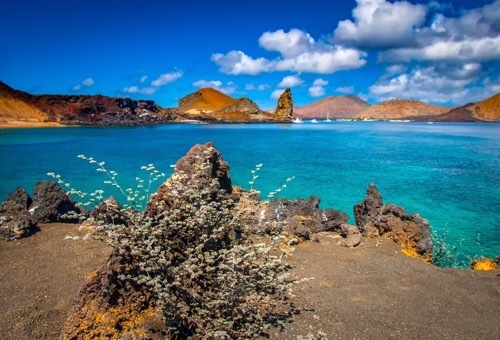 Hike the rugged coastline, explore the inside of a lava tube, and take in the country’s fascinating history where democracy was born in 930 AD. Iceland is home to geysers and hot springs found in few other places around the world. You will also experience the many waterfalls, volcanic formations and glaciers the island has to offer. Enjoy the beauty of Iceland’s dramatic, black sand beaches while riding purebred Icelandic horses. Travel to the Vestmannaeyjar archipelago and see puffins, sea caves, and the interesting village of Heimaey Town, part of which is preserved under volcanic material. Enjoy great food and comfortable lodging in bed & breakfasts, guest houses, and hotels. Day 1: Arrive in Reykjavik and get to know your trip mates. Your trip begins in Reykjavik in the evening. Meet your group at the hotel before getting to know one another over dinner. Take time to share your expectations for the upcoming days. Day 2: Explore the Icelandic capital before settling into a seaside bed & breakfast. After a breakfast with great coffee, set out to explore the Icelandic capital of Reykjavik. 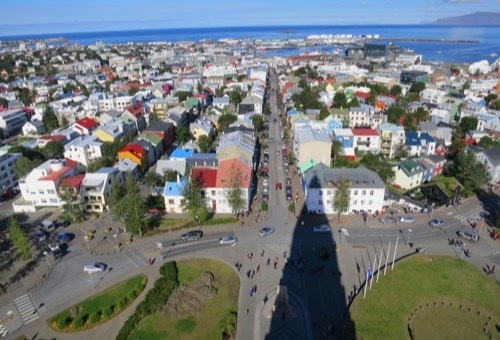 Climb to the top of Hallgrimskirkja church for amazing views of this beautiful city. In the afternoon, you will head north on the Snaefellsnes Peninsula where you stay in a beautiful, seaside bed & breakfast. If time allows, take a hike in the area before a cozy dinner. 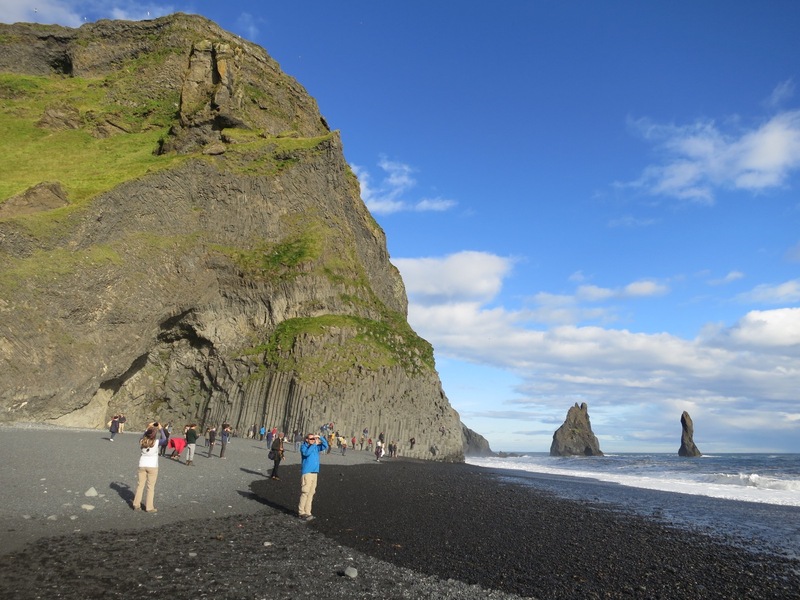 Day 3: Enjoy a coastline hike from Hellnar to Arnarstapi. 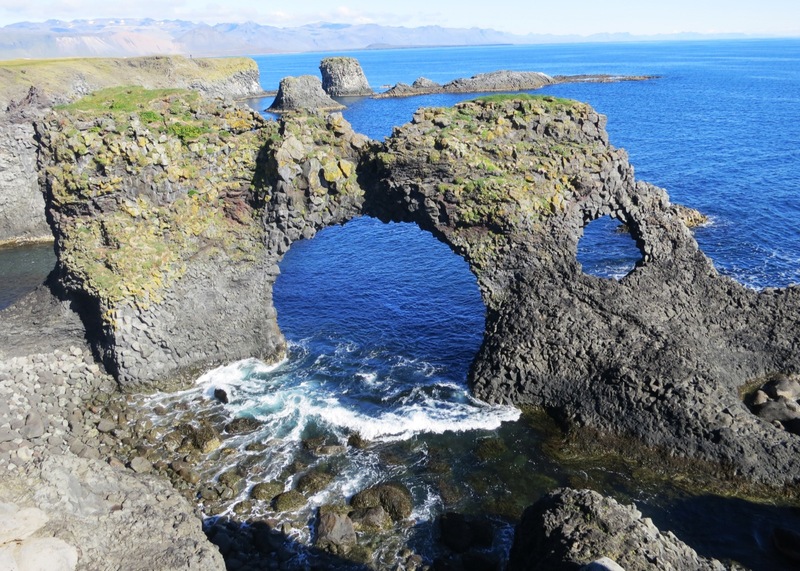 After enjoying a plethora of local breads and spreads, you will hike along the spectacular coastline between Hellnar and Arnarstapi. This unique hike boasts spectacular black rock arches, caves and cliffs. Enjoy a cappuccino at a cliffside cafe at the end of the trail. 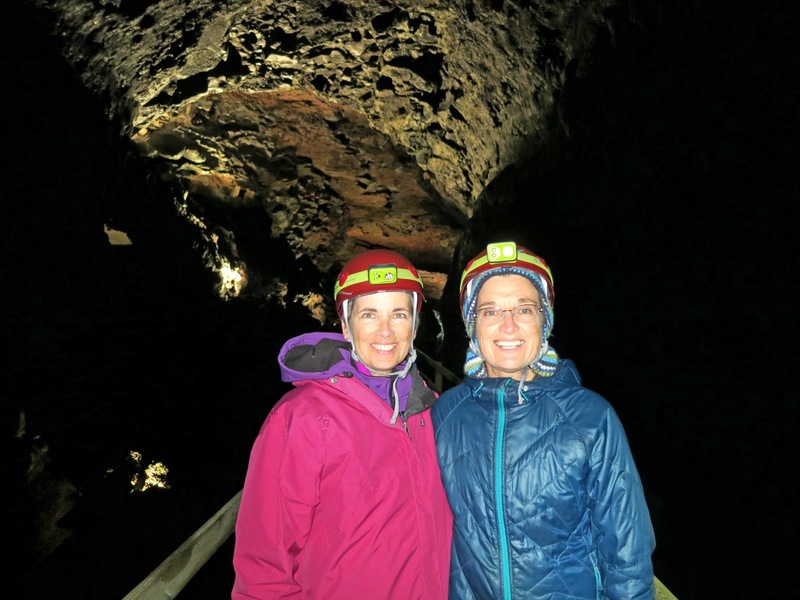 Day 4: Travel the Golden Circle and trek into the largest lava tube in Iceland. 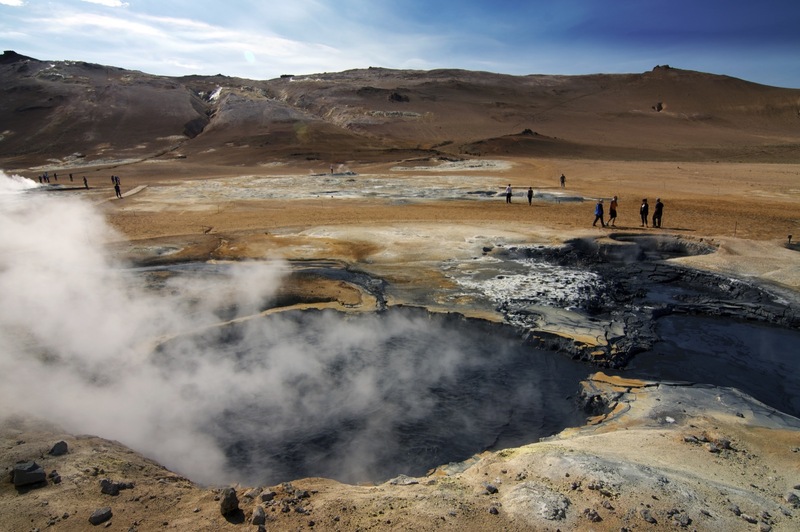 Head to the Golden Circle and see immense, ancient volcanic fields on your way to the largest lava tube in Iceland. Take a guided tour into the lava tube to experience the amazing colors and rock formations. On the way back, stop and see beautiful set of waterfalls formed by rivulets streaming over 900 meters along a lava field. 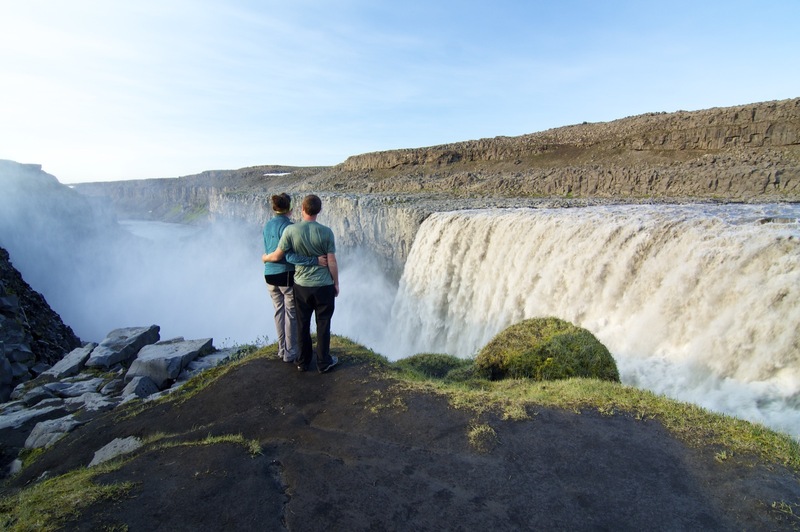 Day 5: Marvel at the grandeur of Gulfoss waterfall and visit Thingvellir National Park. 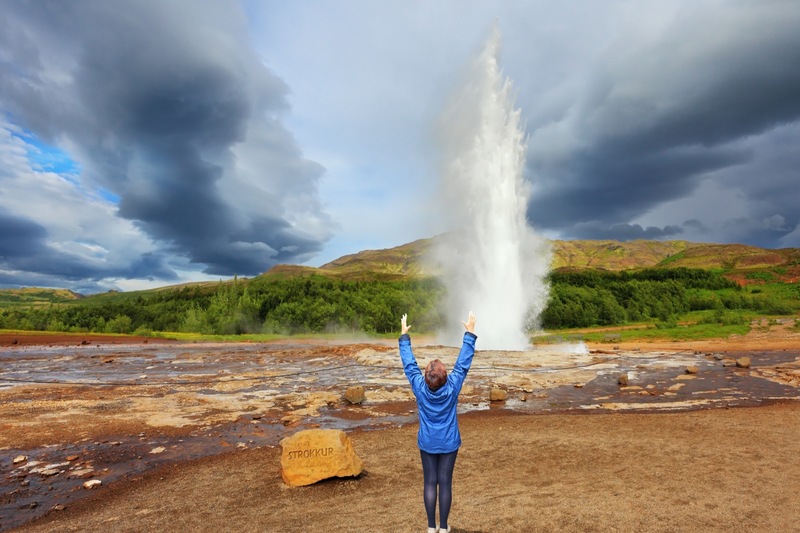 Experience the raging expanse of Gullfoss waterfall and visit the first geyser ever documented at Geysir. Take in Thingvellir National Park and walk the boundary of the North American and Eurasian tectonic plates. Thingvellir is a UNESCO World Heritage Site where the Vikings established the Althing, the world’s first democratic parliament, in 930 AD. End the day relaxing in the hot pools at Hveragerdi. 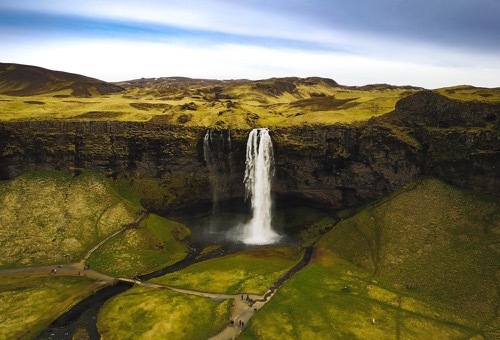 Day 6: Visit Seljalandsfoss and Skogafoss and explore the southern coast of Vik. 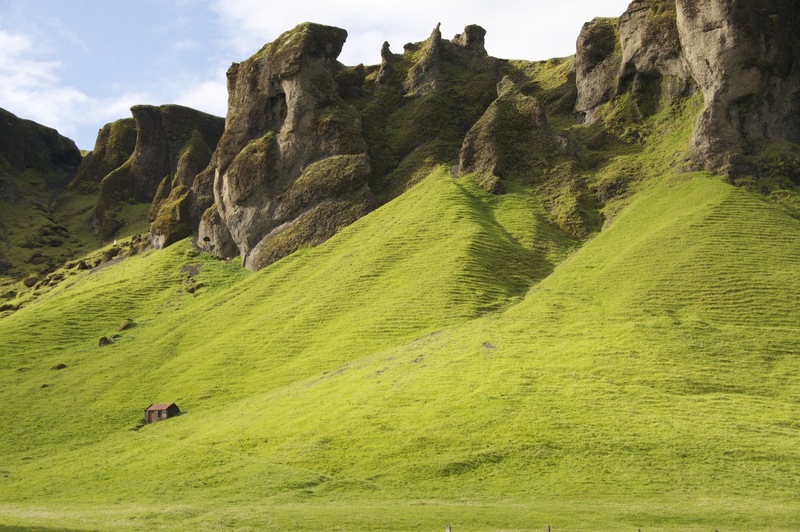 Head to Vik on the southern coast and see some of Iceland’s most beautiful vistas. 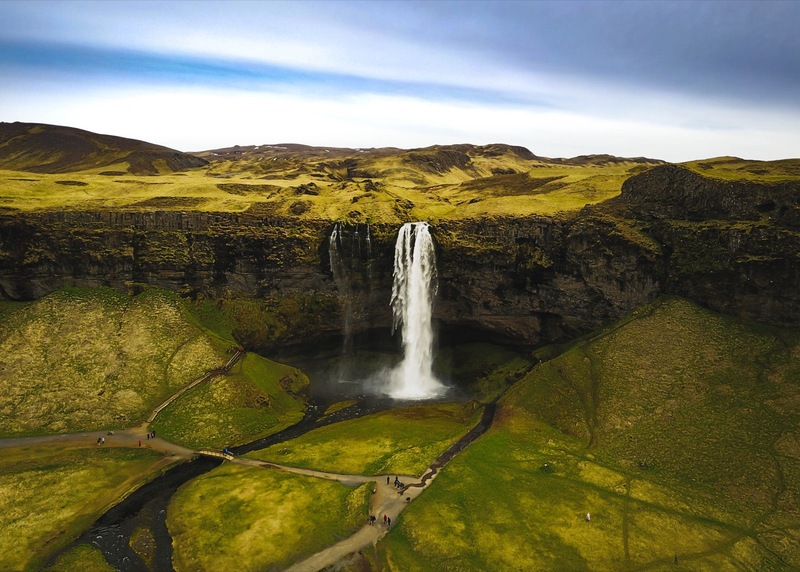 Take in the immense falls of Seljalandsfoss and Skogafoss under the shadow of Eyjafjallajokull, a volcano that last erupted in 2010. Walk along the sweeping black sand beach before settling in for the evening. Day 7: Hike to the Myrdalsjokull glacier followed by a relaxing afternoon with your trip mates. From Vik, head north on an incredible road to hike to the Myrdalsjokull glacier. This otherworldly landscape will surely take your breath away--bring your camera! There is a steep but wide 40 minute trail to get to a plateau, then relatively easy hiking from there. Have lunch at an unusual rock formation we call the "Trolls Garden" on the way to glimpse the glacier. Return to your lodging in the evening for happy hour with your fellow hikers. Day 8: Ride an Icelandic pony on the black sand beaches of Vik. 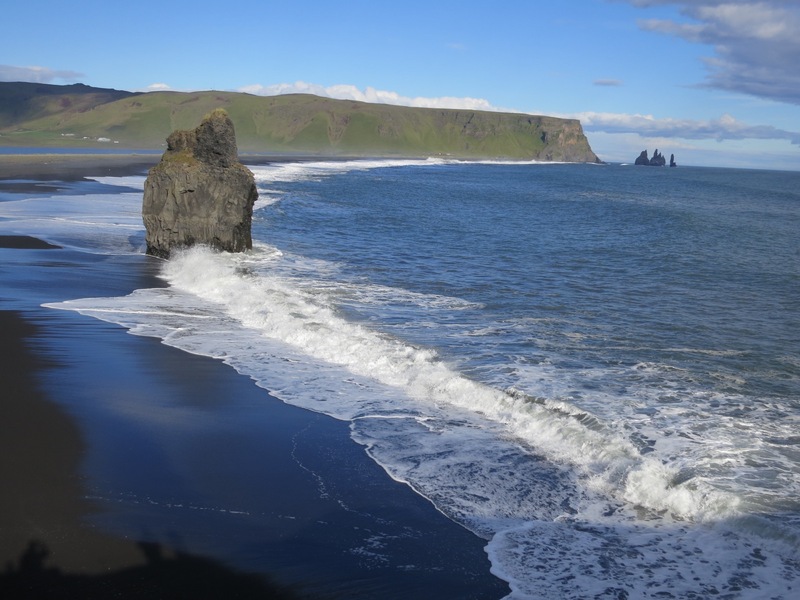 Saddle up your Icelandic pony to go horseback riding along the black sand beach. Take the afternoon to explore the town of Vik before relaxing and enjoying a traditional Icelandic dinner. 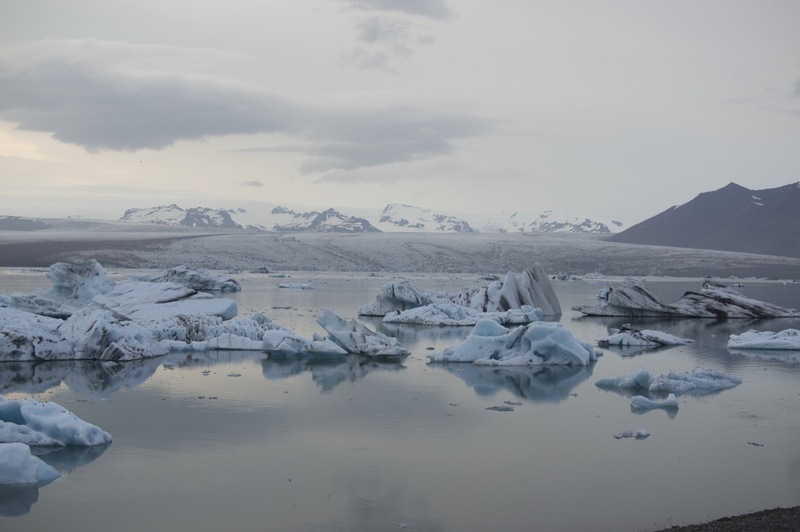 Day 9: Visit Skaftafell National Park and Jokulsarlon, a turquoise glacial lagoon. Continue up the coast to visit Skaftafell National Park for views of incredible mountain valleys and the Vatnajokull glacier. Continue on to the turquoise blue Jokulsarlon glacial lagoon to experience Iceland’s deepest lake. This place is yet another example of the dramatic beauty of Iceland. Day 10: Spot puffins on the scenic island of Vestmannaeyjar. 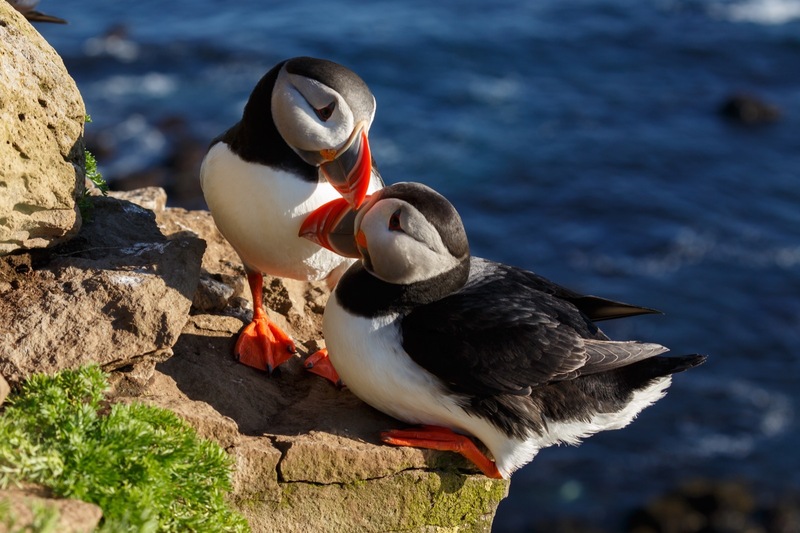 Take a ferry to the scenic island of Vestmannaeyjar where we will take a boat tour through amazing sea caves and spot playful puffins swooping from steep cliffs high above our heads. Vestmannaeyjar is loaded with history. Pirates from the Barbary Coast raided the island in 1627 and sold hundreds of local residents into slavery. A cannonball fired during that conflict is still embedded in the rocky entrance to the harbor. In 1973 a major volcanic eruption destroyed nearly 1/3 of the homes and buildings but increased the size of the island by 2 square kilometers. You will see homes encased in lava reminiscent of a mini Pompeii. Fortunately, no residents of Heimaey were hurt during this episode of island life. Day 11: Say farewell to your trip mates. If you choose, stop by the Blue Lagoon on your way to the airport. Bid farewell to your fellow travelers after breakfast before taking in your final views of Iceland. If you choose, make one last museum stop or relax at the Blue Lagoon hot pools on your way to the airport (not included). TERRAIN/ROUTE: Perched atop the edge of the Eurasian and North American Tectonic plates, Iceland is a stark landscape of volcanic fields, black beaches, and mountainous areas. 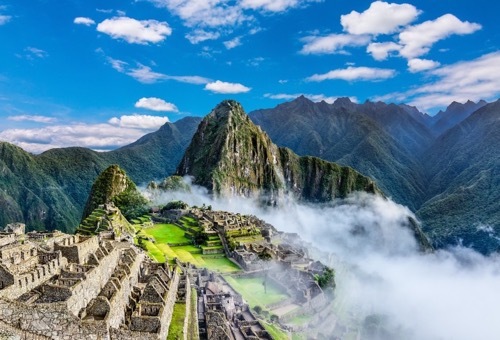 Glaciers, geysers, and steaming fumaroles are commonplace in this surprisingly accessible country. HIKING: Hikes range from 2 to 6 miles a day and an average of 2-4 hours of physical activity per day. Some hikes are steep. You will carry your day pack with only what you will need for each day hike. WEATHER: Weather in Iceland changes frequently. Temperatures range from 45F – 60F degrees and you will frequently experience cool temperatures. Be prepared for all types of weather. Rain is likely at some point so a good raincoat is important. YOUR GROUP: The group size will be 6-12 participants and 1-2 Wilderness Inquiry guides. Each group consists of like-minded travelers of various ages, backgrounds, and abilities, including people with disabilities. WI trips are group oriented. Staff will assist you in whatever areas you need an, most people pitch in where they can. ACCOMMODATIONS: We will sleep in a variety of guesthouses, bed and breakfasts, and hotels at night. Typically there are 2 people per room, matched by gender or requests to room together. Your group will travel together in a comfortable van. MEALS: We will have breakfasts provided at our accommodations, pack picnic lunches and have dinners at local restaurants in the evenings. There will be snacks provided throughout each day. We’ll enjoy happy hours together, but the purchase of alcoholic beverages is not included in the trip fees. Alcohol is expensive in Iceland, but you can bring your own. Check out this little duty free allowance calculator. EQUIPMENT AND CLOTHING: Since weather can vary, you will need layers. We will provide you a suggested the packing list with our confirmation packet. This trip begins at the Downtown Reykjavik Apartments at 4:00 PM. The trip ends in the same location at 10:00 AM. 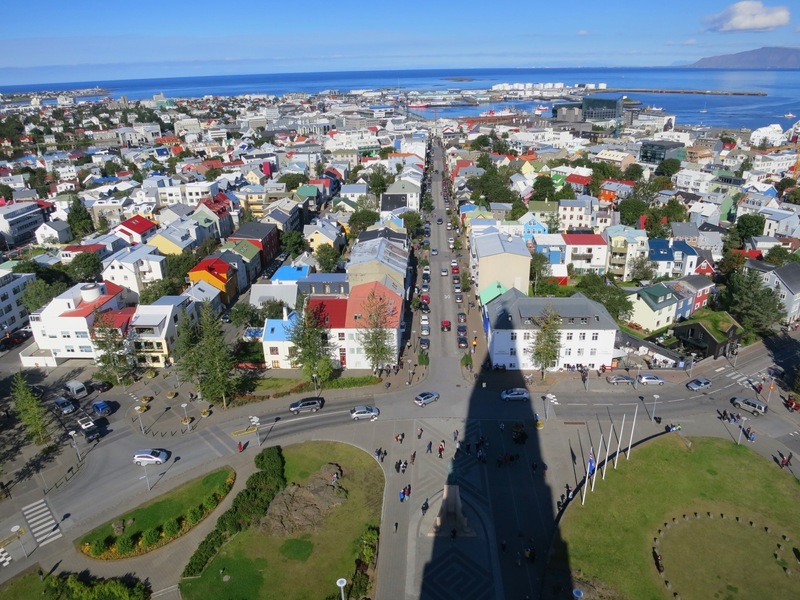 The time to get from Keflavik International Airport to the Downtown Reykjavik Apartments is about 45 minutes. Should I visit the Blue Lagoon? Most of us say yes, at least once. The Blue Lagoon is definitely a tourist attraction, but it is unique to Iceland and you do leave refreshed and relaxed. It is near the International Airport, so it is a great way to start or end your trip. Many of our participants will plan to do this on their own time before or after the official trip. It is very easy to get to on the way to or from the airport. What is hakarl and should I eat it? Hakarl is the national dish of Iceland, consisting of fermented Greenland Shark. You can find it in most major cities we will visit. Most people wash it down with a drink called the 'Black Death.' While neither hakarl nor Black Death are for the faint of heart, some of our guides swear by it! Is Iceland accessible for persons using wheelchairs? Yes and no. 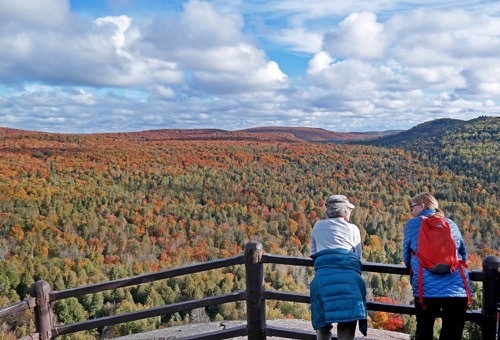 Some of the hikes on this trip are relatively accessible, and several are not very accessible for people who use wheelchairs. Some hikes start off very accessible, and then become quite rocky. 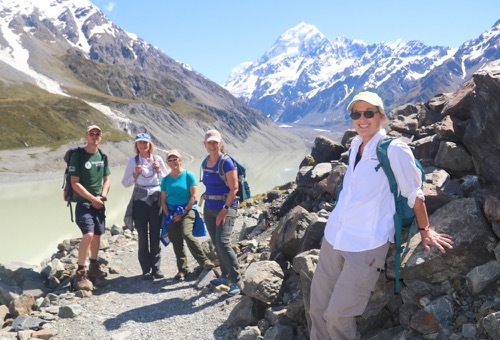 If you use a wheelchair you would probably need to sit out the hike to one of the glaciers, but you could hang out for a couple of hours in a glorious and beautiful place! Also, on one hike along the coast, you could do half of it, but then you would need to turn around. So, our answer is, talk to us to figure out if this trip is best for you. I hear the Gullfoss Waterfall is incredible. Will I get to see it? Absolutely, and you heard right. Gulllfoss is one of the most spectacular waterfalls we've seen. It has two sections that drop in completely different directions before plunging sideways into a deep, dark gorge. Even in a landscape as magical as Iceland, Gullfoss stands out and we make it a highlight our journey. What on earth is an Icelandic pony? 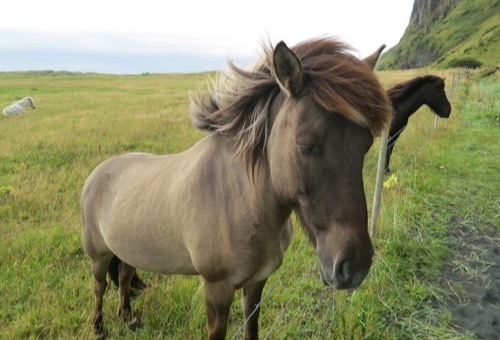 The Icelandic pony is a small horse first brought to Iceland by Norse settlers in the 800s A.D. They are sure-footed, hardy creatures and, frankly, they are adorable. 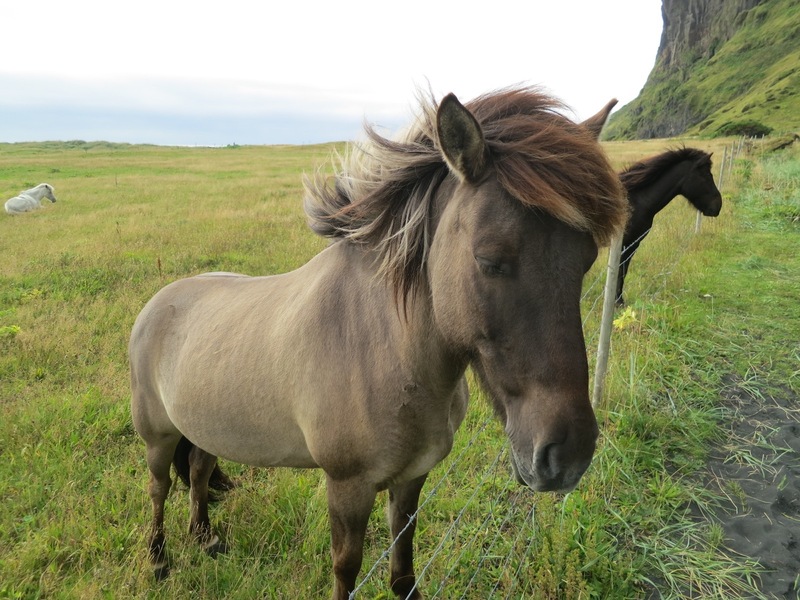 One of our favorite parts of this trip is getting the chance to ride one of these ponies along the beach of Vik. 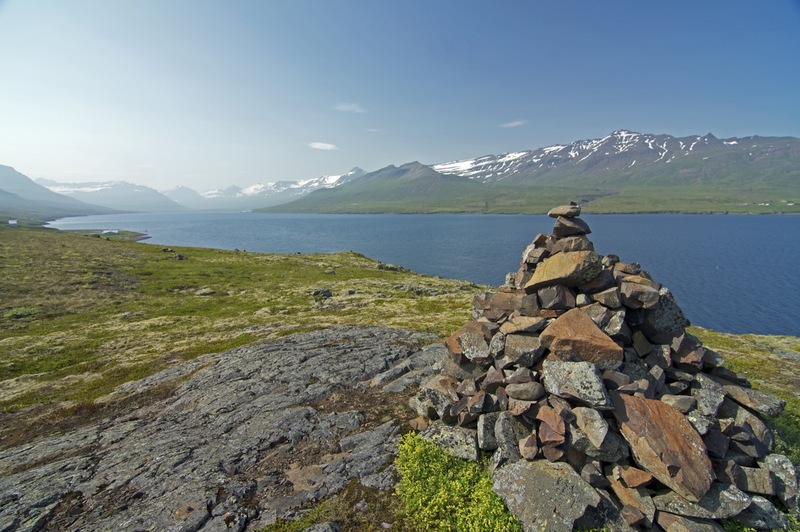 Do you have a single supplement for Iceland Hike and Explore? You can elect to guarantee a single room for the duration of the trip for $750 during the registration process. 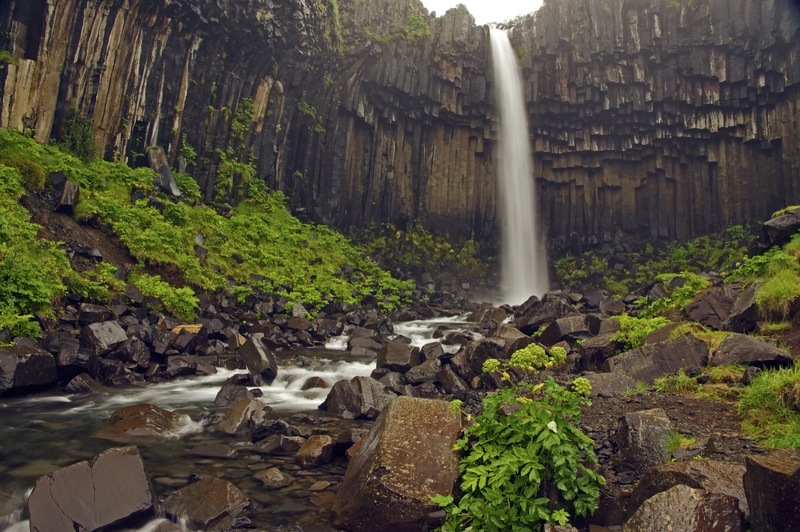 The island of Iceland is a trove of beautiful geological features. 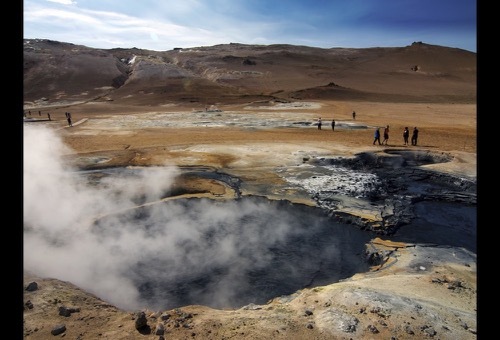 Due to the thin crust underneath the island, Iceland features stunning geothermal features found in few places around the world. Evidence of the 30 active volcanoes within its borders abounds, in spectacular fashion. Iceland is home to stunning glaciers, waterfalls, imposing volcanoes, black sand beaches, mountains, geysers, and hot springs. It is a geologic wonder not to be missed. Iceland is steeped in rich cultural history, as well. The Vikings established the world’s first democratic parliament in Iceland in 930 AD. The ruins of the site sit in Thingvellir National Park, which was designated as a UNESCO World Heritage Site in 2004 to recognize the global importance of that event. Later, Iceland was subject to rule by other countries, including Denmark, until the country gained its independence in 1944 following occupation by the UK during WWII. The Republic of Iceland was established on June 17, 1944. Formed 20 million years ago by a series of underwater volcanic eruptions, Iceland is situated between two tectonic plates – the North American and the Eurasian. In 2010 the volcano Eyjafjallajokull began erupting, emitting a huge ash plume that halted European air traffic for a week. Due to this eruption, international attention shifted to Iceland and tourism boomed, resulting in much needed economic stability for the nation. It has become the fastest growing travel destination in Europe. Wildlife in Iceland is few and far between. 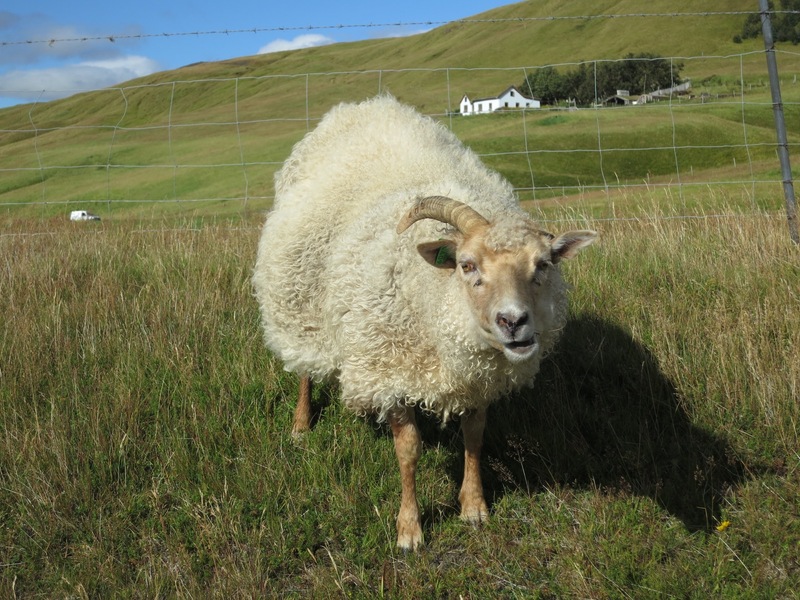 Aside from sheep, birds and horses, you’ll be hard pressed to garner any animal sightings. The only indigenous land mammal is the elusive Arctic fox found in the Westfjords. Birds are prolific on coastal cliffs often forming massive colonies near the sea. Gannets, kittiewakes, razorbills and puffins are among the most impressive. Iceland also has a thriving marine life including humpback whales, dolphins, porpoises and seals.